From pesticide poisoning to lead-tainted water, we’re seeing more and more of the effects harmful chemicals have on our environments, families, and pets. That may be why so many of us are now choosing to live more eco-friendly lifestyles. This is especially true when it comes to lawn care. 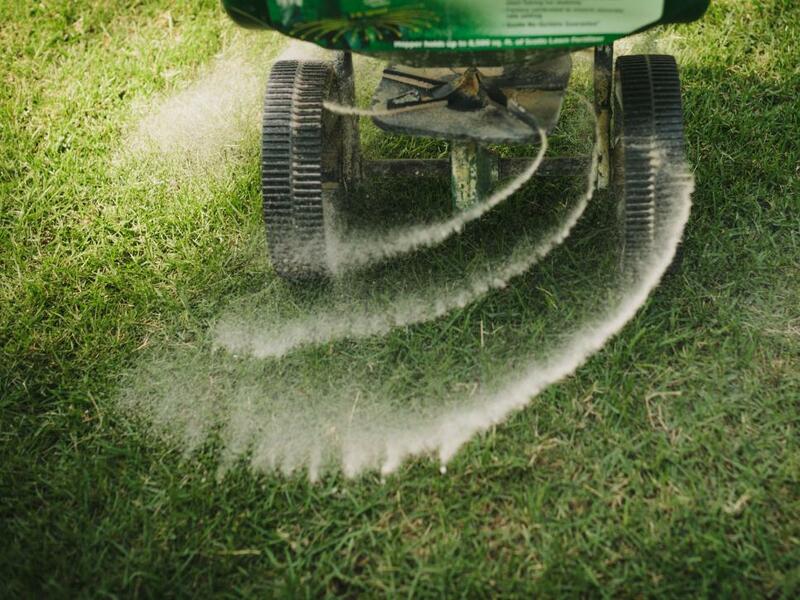 Many products meant to make your lawn beautiful can pollute your lawn and the groundwater. These same products can also keep away birds, bees and other pollinators that we depend on for natural landscaping. Here are some eco-friendly lawn care tips for Portland, ME to stipend the effects of those harmful chemicals. This one’s a no-brainer since Portland gets an average of 47 inches of rain every year. (The average in the U.S. is 39 inches a year.) But if you’re looking to maintain a very healthy lawn, you can take it up a notch without wasting a valuable resource. Put barrels at the bottom of your downspouts to collect rainwater. Then, when it gets a little dryer later in summer, you can use this stored water to keep your lawn healthy. You can go a step further and get an electric pump, but if you don’t want to spend the money, you can either siphon it from the barrel or get smaller buckets to distribute it. When you do water, make sure to do it deeply. The roots will spread downwards to soak up the water. Roots towards the surface are more prone to disease, so deeper roots mean stronger and healthier grass. Leaving grass clippings on top of your lawn after you mow is very healthy for it. The clippings decompose and provide the lawn with nutrition. This is a much more eco-friendly option than throwing them out and letting them take up space in a landfill. Just make sure the thatch doesn’t build up on the lawn. Thatch is a buildup of clippings and chopped leaves that gather at the base of grass plants. It can choke a lawn’s access to water and block needed sunshine. You can remove excess thatch by raking it up and putting it in a compost pile. That compost will work wonders when you want to organically fertilize your lawn. Gas-powered lawn equipment like mowers and weed whackers consume copious amounts of gasoline. Burning the gas releases harmful hydrocarbons, carbon dioxide, and other pollutants into the environment. It also tends to be more expensive than using electrically powered machinery. While the old-fashioned push mower is the most eco-friendly (and burns the most calories!) the plug-in equipment is a good option. You may see a slightly increased electric bill, but it’ll still be cheaper than using a gas-powered mower. Biopesticides are becoming more popular lately, and with lawsuits surrounding many traditional pesticides, it’s easy to see why. Instead of killing all insects immediately, a biopesticide is made from natural elements that control the insect population. The science behind it is fascinating. For example, one pheromone pesticide disrupts the mating patterns of certain insects, so they produce fewer offspring. Another type of biopesticide is called a microbial pesticide. It uses microorganisms that are eaten by insects (like grubs, which are common here in Maine) and then kills those insects from the inside. It’s brutal but effective and eco-friendly! Lots of fertilizers contain chemicals that are harmful to the environment. But there’s a wide array of eco-friendly fertilizers to choose from. In 2008 it became illegal for companies in Maine to sell fertilizers containing phosphorous. That’s because too much runoff from rain and snow was being washed into the lakes and ocean. Even when you’re using an organic fertilizer, check the weather to make sure it’s not going to rain in the next 24 hours. This will not only stop the fertilizer from being washed into sources of water, but it will also keep it on your lawn where it can be used for nutrition. Steps Toward a Better Lawn, and a Better You! If you follow these tips, you’ll be making strides toward creating a better lawn not only for you but for the environment. And you’ll have the added bonus of knowing you’re protecting the land and water supply for future generations. The post Eco-Friendly Lawn Care Tips for Portland, ME appeared first on Lawnstarter.